App based Ride sharing services have grown to be a common means of transportation, particularly in urban areas like Seattle and the surrounding communities. Services like Uber and Lyft allow drivers to charge for rides in their personal vehicles. Some drivers use ride sharing apps full time as their primary source of income, and others drive part time to earn extra cash on top of other employment. With the increased prevalence of Uber, Lyft, and other ride sharing apps, there has been an increase in motor vehicle crashes involving vehicles for hire. In most cases, car crash claims are brought directly against the driver who caused the crash and no one else. Auto insurance generally pays for the damages caused by the crash, but the claim is technically brought against the driver and not the insurance company. 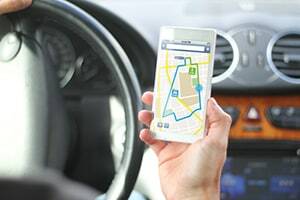 When a person is using their vehicle for business purposes, such as while driving for Uber or Lyft, there is likely a claim against both the driver and the business entity. If you have been injured in a crash involving a ride share vehicle in any way, there are unique considerations that should be taken into account in the handling of your claim. To ensure that your claim is properly handled, consult with an experienced accident injury lawyer. Call our firm today at 206.624.8844 for a free case evaluation.